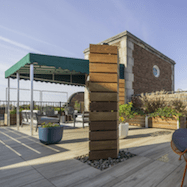 Landscaping designers have been noticing the minimalist design, which has been dominating furniture, décor and hardscaping materials for years, is no longer in high demand. Instead, homeowners are gravitating towards more natural materials. Requests for clean, geometric and modern designs are dwindling. 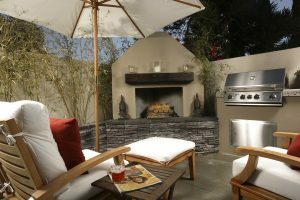 More and more clients want a more old-fashioned, do-it-yourself look in their outdoor space. Natural materials incorporated in backyard landscaping designs often feature railway ties. These can be used to make free-form decks, swing seating and smaller outdoor furniture. An increasing number of family members are playing together in the backyard to keep active and create deeper bonds. This is evident in the increased request for play spaces for adults, children and even pets. The requests include basketball courts, tennis and Bocce courts. In addition to being great spaces to play, these areas help to prevent weeds. 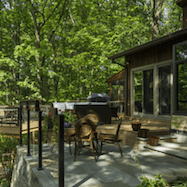 Many homeowners are no longer choosing one design style and sticking to it relentlessly; a number of outdoor lovers are mixing old and new. This popular trend in architecture and interiors is making its arrival in many backyards. Mixing styles was once a big taboo, however, it is now one of the popular summer trends of 2017. No longer is it about modern or traditional design but combining the two in a compelling manner. This can be done by incorporating modern elements in a traditional landscape or putting traditional elements in a modern backyard. These are just a few of the summer trends that have been making their way into backyards everywhere this year. 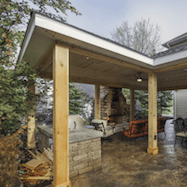 Contact Ohio Valley Group to create your ideal outdoor living space.